Are You Happy with Your Content Marketing Technology? As content marketing continues to mature, marketing leaders are looking for ways to better scale their content investments. 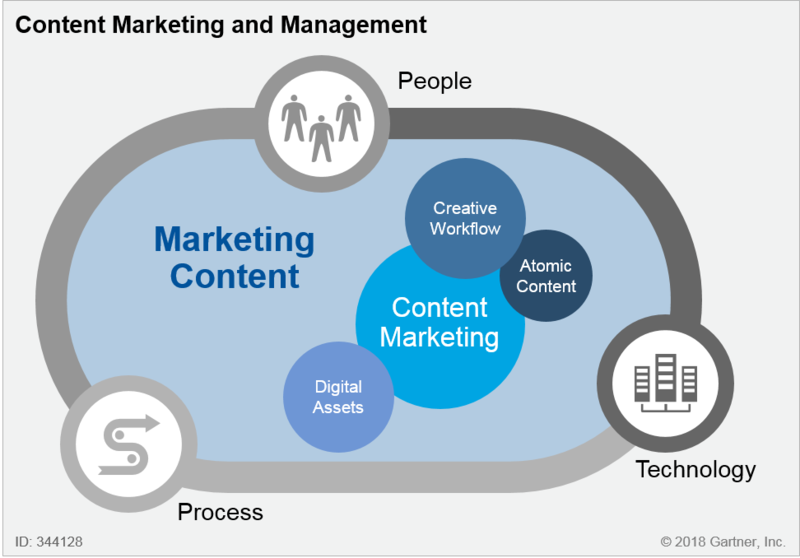 One of the primary ways content marketers are looking to achieve scale is through the adoption and utilization of new content technology, including Content Marketing Platforms (CMPs), Digital Asset Management systems (DAMs), and improved Web Content Management (WCM — also, see A Marketing Checklist for Identifying, Selecting and Maximizing Web Content Management Systems — Gartner subscription required). Taken together, these apps constitute a part of the overall marketing technology stack. Let’s be original call it the Content Marketing Stack. Why are marketers looking at new content tech? What should marketers like you look to accomplish with these new technologies? And how can they help you improve your content production? While overall marketing budgets were flat from 2016 through 2017, Gartner research found that content marketing budgets during the same time period grew from 5.9% of the overall marketing budget to 7.4% (see Making the Case for Growing Your Content Marketing Budget). What is driving all this growth? During the same time frame, Gartner saw a three-fold increase in the number of questions about digital asset management (DAM) from marketing leaders (see Market Guide for Digital Asset Management). And the momentum isn’t slowing. In the first quarter of this year, questions continued to flood in, with close to two times more DAM-related inquiries in early 2018 than in the same time period last year. While marketers are spending more on content they also expect more in return. As marketers expand into more channels, the need for more content will continue to grow. But, if marketers don’t take the time to build on their content marketing fundamentals, spending more on their content marketing stacks won’t help their content achieve scale or ROI. Many marketers think that selecting a content marketing work tool (see Magic Quadrant for Content Marketing Platforms), like a Content Marketing Platform, will empower their content marketing teams to instantly scale operations and achieve improved ROI. While picking the right CMP can help, marketers still need some essentials in place before they can even maximize their existing content investments, much less justify adding a new tech to their existing marketing stack. First, content marketers still need a content strategy (see Six Elements of a Results-Driven Content Marketing Strategy). I frequently speak with marketing leaders who assume that a.) They don’t need a content strategy if they have an overall marketing strategy and/or b.) That simply selecting a new piece of content marketing technology, like a CMP, will magically give them a content strategy. Sorry, but neither of these assumptions is true. Without a proper content strategy, grounded in data and mapped to the customer journey, marketers can’t adjust their content marketing tactics, establish meaningful KPIs for content performance, or map their content to data driven personas (see Where Marketers Get Data to Inform Personas and Journey Maps). And any successful CMP implementation will require all three. Another common mistake marketing leaders make when they go on the market to upgrade their content marketing stack is they assume that new technology will give them better, more efficient content production workflows. 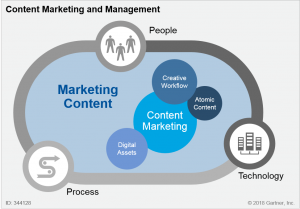 As marketing teams progress through the content marketing maturity model (see Maturity Model for Content Marketing), they find their often need to revise their content marketing workflows. But, first, they need to start with mapping their workflows – and working to find better ways to move content through all these stages. Selecting a CMP or upgrading a DAM won’t replace the need to do this work. As marketing teams plan to add more multimedia content to their channels (see How to Evaluate the Business Value of Content Marketing in the Post-Text Era), like video or Augmented Reality, they will need new workflows that accommodate the growing complexity of new media and channels. Content marketers need to understand the needs of these new media and build better workflows in order to achieve ROI from any investment in their content marketing stacks. Once you have a content strategy in place with relevant, robust content production workflows, you will be in a place to select the right kinds of technology you need to enhance your content marketing stack and bring scale to your content marketing operations.